Special Abilities – Paranormals can turn invisible for short bursts of time – the strongest are believed to have a maximum limitation of 18 minutes of invisibility. Paranormals can Previnate – ability to turn into a mist and fly around at a rapid pace. They can reach and move through inanimate objects, such as walls and doors. Side Note – Cannot perform this power while invisible. Notes: Paranormals are people that were another race while they were alive during their first life. They can only come back as a Paranormal in the wake of a tragic event (murder, robbery, accidental death). Transfiguration is when they return to life with the same appearance, but without the abilities from their previous life. They inherit the abilities of the Paranormals over the course of the three weeks immediately following their first death. This period is called Attainment, and it takes place while the body lies in repose. The reason for the second life (the opportunity to come back as a Paranormal) is fabled to be the way for these lost souls to right the wrongs from their previous life. Not all return to the world with these noblest of intentions. Some use their gift of life to seek revenge on those that previously wronged them. (See Cristobel; Count Thane; La’Rette). The ability to previnate is passed down from one Paranormal to another. It is not a power that is immediately received during transfiguration. 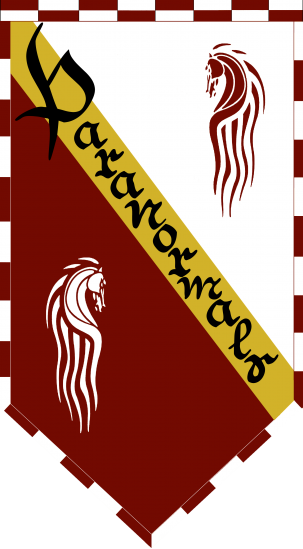 As a balance of power, the Paranormals have evolved to only be able to utilize their ability to move through objects while invisible. It is believed that the ancient Paranormals had the ability to use the power during any phase, but that is no longer the case for today’s Paranormals. Confirmed: The first Paranormals were able to use their powers during times of invisibility. Only other Paranormals can hunt and track down other Paranormals during spurts of invisibility. This process is called Drapence. There have been recent bouts of Paranormals traveling to the Constant World and cause mayhem by haunting Nequams. This act must stop!